Kashmir valley’s political class is already infamous for its gigantic hypocrisy, shameless elitism and double standards, unmatched in entire South Asia and nothing exemplified it best than Mr. Omar Abdullah’s recent twitter outbursts on draconian administrative order of “two days a week highway ban” on civilian traffic movement on Srinagar – Jammu national highway. The controversial administrative order, which has been widely criticized by the civil society of Kashmir valley for its arbitrariness and infringement of fundamental constitutional rights has unfortunately been reduced as a “political tool” in the hands of the political class of Kashmir, especially the grand old party of National Conference and its dynastic owners – father son duo Farooq Abdullah and Omar Abdullah. The greater question that arises in Mr. Omar Abdullah’s fake pretension and “twitter tamasha of “his “grave concern“ for ordinary Kashmiri people and his so called opposition” to the controversial administrative order is whether Mr. Omar Abdullah possesses the high moral ground and ethical values to question such draconian administrative orders, when he himself stands accused of indulging in the same? Even as Mr. Omar Abdullah was busy making his tweets and issuing statements showing his “concern” for ordinary Kashmiris, who would be impacted by the administrative order of “two days a week highway ban”, especially school children, medical patients, pregnant women and poor rural folks, the same very Mr. Omar Abdullah, just two or three days before the said administrative order visited his Beerwah constituency in Budgam district in Central Kashmir to campaign for his father’s Srinagar Lok Sabha seat. His visit in his capacity as a former chief minister of the J&K state however proved a nightmare for the ordinary Kashmiri folks of Beerwah as his protocol officers unleashed a barrage of anti-people “security” measures purportedly for the “safety” of Mr. Omar Abdullah. The main event of election campaign speech by Mr. Omar Abdullah was held at grounds of DIET (District Institute of Education & Training) Beerwah for which the entire institute was closed down. And not just the DIET but the entire surrounding area including parts of Beerwah and Budgam towns were closed for so called “security purposes”. Even local markets and bus stops were closed in the main Beerwah town putting commuters, school children, medical patients and poor people who depend on public transport at great discomfort. The security paraphernalia accompanying Mr. Omar Abdullah literally cordoned off the entire area surrounding the DIET venue in a CASO like manner, so that Mr. Omar Abdullah could give speech and ask for votes for his father in a thinly and poorly attended public rally. It did not bother Mr. Omar Abdullah, even one bit that virtually entire Beerwah had to suffer immensely due to the harsh implementation of the official security protocol that Mr. Omar Abdullah enjoys. But then, Mr. Omar Abdullah’s hypocrisy is not something which is surprising as just like his father Mr. Farooq Abdullah, he also tends to have two different standards, one for ordinary Kashmiri people and another for his rich, powerful and elite friends outside Kashmir valley. 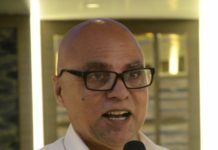 His carefully crafted social media image that he pushes through his powerful contacts in New Delhi’s immensely powerful English speaking “Lutyens media” as well as through his “twitter” account purports to talk all “politically correct” things that portray him as a liberal and progressive thinking modern politician. However, when it comes to dealing with ordinary Kashmiris, Mr. Omar Abdullah just can’t resist his rich, elitist, feudal and almost colonial disdain towards ordinary Kashmiris that is a hallmark of even his father Mr. Farooq Abdullah. Therefore, it should not come as a surprise that Mr. Omar Abdullah doesn’t find any problem or contradiction in making his ordinary Kashmiri “subjects” suffer through the same draconian and anti-people measures that he accuses others of doing, even while he sheds fake crocodile tears at the plight of ordinary Kashmiris sitting in his posh Gupkar residence built out of public tax payers money. The problem with Kashmir’s political class, whom Mr. Omar Abdullah so perfectly symbolizes, is its total lack of empathy for the pain and suffering of their own poorer Kashmiri masses. 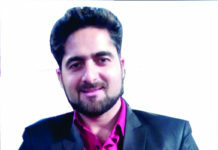 While politicians in mainland India make special conscious efforts to be seen “serving” the poor, dining with poor in their huts and generally identifying themselves with the socially and economically underprivileged sections of Indian society like Dalits, the political class of Kashmir doesn’t even bother to do the fake drama of “pretending” to serve Kashmir’s poor. The National Conference party of Mr. Omar Abdullah for example is full of so many rich and powerful smaller dynasts other than Abdullahs, whose personal lifestyle will put a rich businessman from Mumbai or Delhi to utter shame. The acts and omissions of Mr. Omar Abdullah, who also served as Chief Minister of the J&K state are especially glaring as compared to other politicians of Kashmir because he tends to take liberal, progressive, secular, tolerant and democratic stance on various issues on his twitter handle, which are meant for world at large and yet behaves in an exactly opposite manner when dealing with ordinary people of Kashmir. The same bad old undemocratic tactics of violence, intimidation, non-meritocracy and promotion of the culture of nepotism & sycophancy that defined large part of his grandfather and father’s legacy pretty much defines Mr. Omar Abdullah too. There is nothing wrong per se in politicians espousing and highlighting concerns of common masses but if they are seen in indulging in the same conduct, which they criticize politically, then such behavior will be perceived as mere posturing rather than such a politician having a true and genuine concern for his own people. In case of Mr. Omar Abdullah, such selfish political posturing means that his so called “concerns” are nothing more than a greed driven and politically motivated “tactical moves” aimed only at seeking votes to ensure capture of power and the enjoyment of the perks that the power brings. And as for ordinary Kashmiris – they will have to continue to suffer for the shamelessness and hypocrisy of its political class. 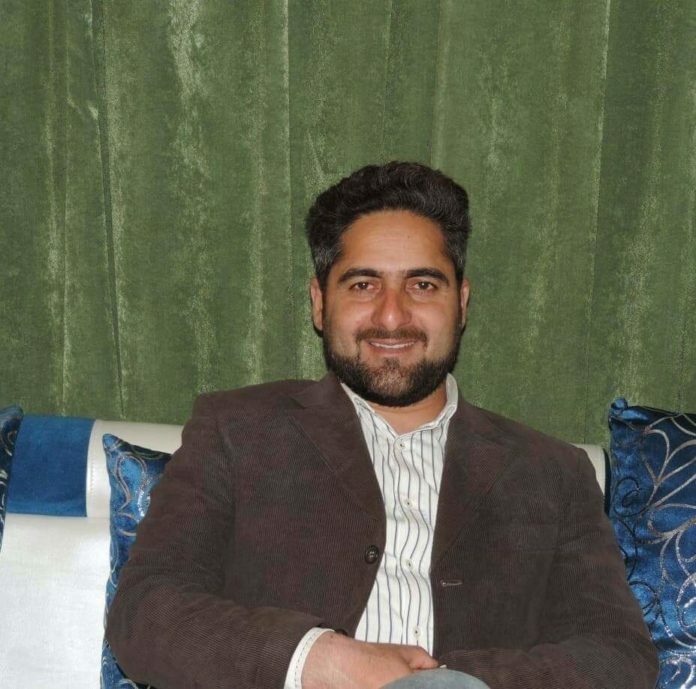 Javaid Beigh is a Political Activist and aspiring Politician, who has worked as PRO to Ex CM of J & K. He holds MBA & MPA degrees, besides having many years of corporate work experience at some of top Fortune-500 companies like Infosys Technologies, Bangalore.